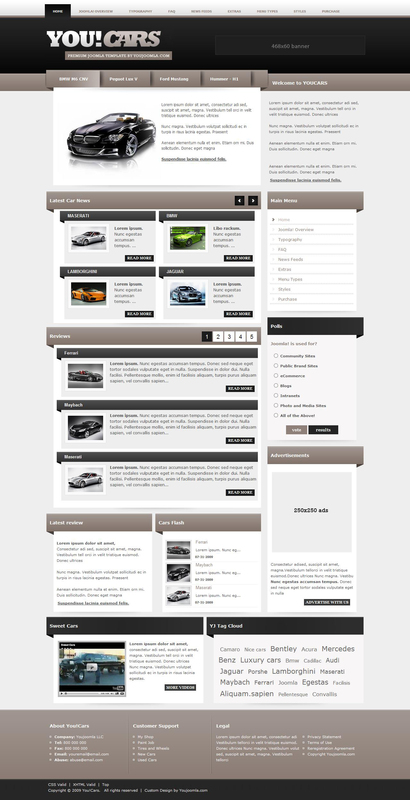 YJ YouCars - posh car template for Joomla 1.5 developers YouJoomla. With its unique design, quality and great layout layout functionality, this template is perfect for creating a portal. Powerful modular design consists of 35 module positions that will fit all blocks according to the requirements. Fast loading template and a template parameter list is provided through the use of proprietary platforms YjSimpleGrid.